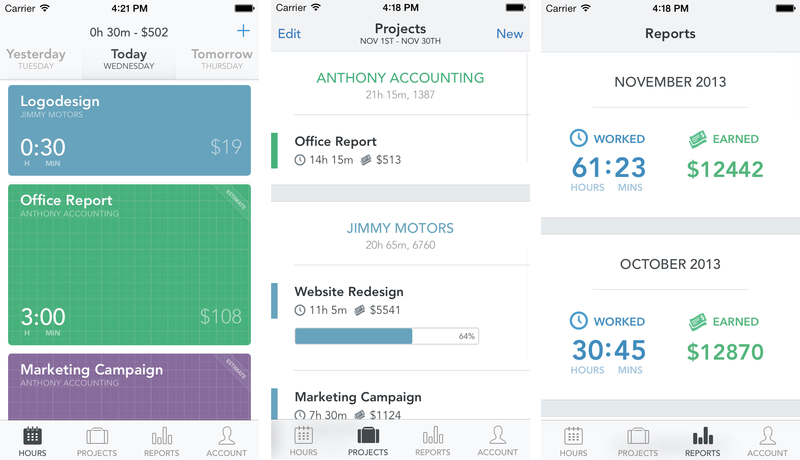 Timely is a new time tracking app for iOS and the Web that promises to do away with the pain of filling out timesheets and other related paperwork by allowing users to schedule how time will be spent in advance. While most time monitoring and tracking apps work retrospectively – that is, you fill out how much time you spent doing a certain activity – Timely wants to turn that around. To that end, it allows users to schedule time in advance, or for scheduling and logging of hours to be carried out simultaneously. Rather than having to re-enter details from your existing schedule, Timely can automatically import them for tracking purposes, and while its UI might look a lot like a calendar, you’ll notice that there are no times shown. “We believe it doesn’t matter if you work early in the morning or late in the evening,” the company said. Timely says that unlike competitors like Harvest and Freckle, it’s trying to “destroy” the task of filling out timesheets, rather than simply ease the pain.